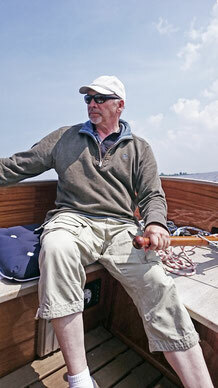 I am sailing since 1977 and an enthusiastic owner of a Seezunge "Triton". Memberships: german DHH, Catboat Association, the Dutch Catbootclub and also member of the Old Gaffers Association NL. Boats with character are my passion. Any question or contact in other languages than german will be answered in English. "Believe me, my young friend, there is nothing -- absolutely nothing -- half so much worth doing as simply messing about in boats. Simply messing..."